End of last year me and my colleagues had the chance to submit a paper to the 19th "Methods and Description Languages for Modelling and Verification of Circuits and Systems" workshop (in German "Methoden und Beschreibungssprachen zur Modellierung und Verifikation von Schaltungen und Systemen" - in short MBMV). This year the conference took place at the University of Freiburg. In the parts 1-6 of my "Night sky image processing" Series I wrote about the different stages of night sky image processing. 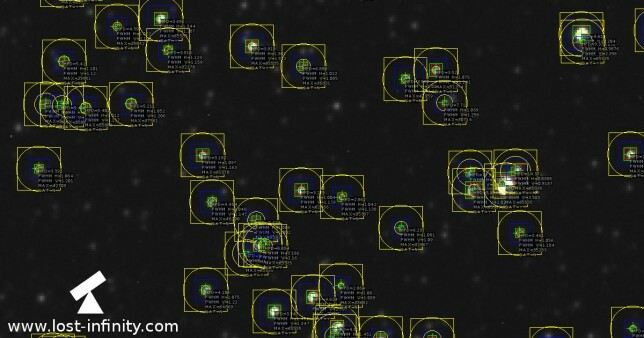 In this article I want to put all the pieces together and develop an "automatic star recognizer" which takes an astro-image as input and outputs a list of the recognized stars with their HFD and FWHM values. 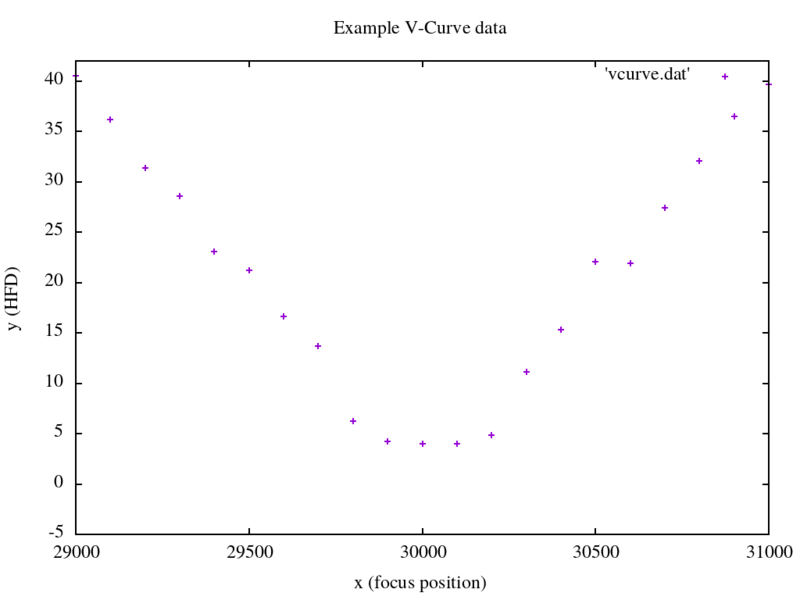 In Part 5 of my "Night sky image processing" Series I wrote about measuring the FWHM value of a star using curve fitting. Another measure for the star focus is the Half Flux Diameter (HFD). It was invented by Larry Weber and Steve Brady. The main two arguments for using the HFD is robustness and less computational effort compared to the FWHM approach. An article about the HFD can be found here. Another short definition of the HFD I found here. 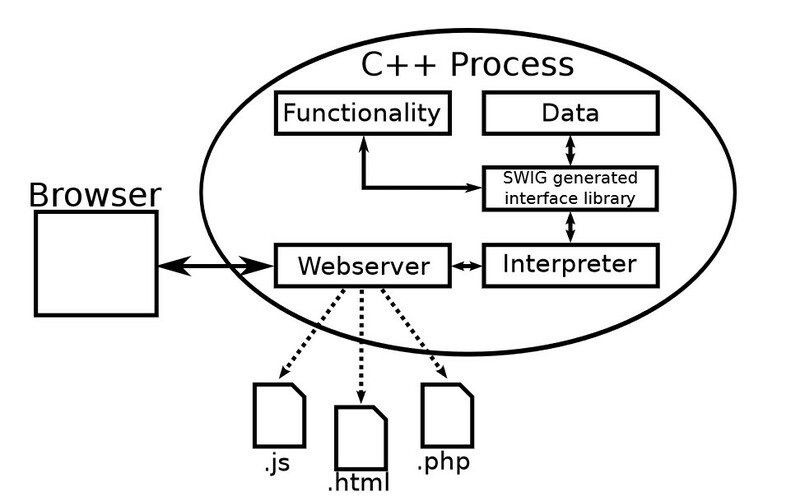 The original paper from Larry Weber and Steve Bradley can be found here. 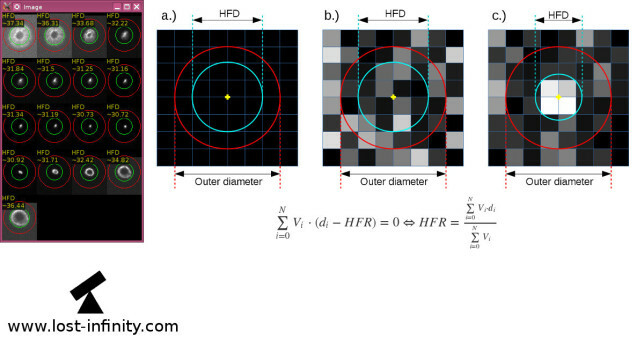 Let's start with the definition: "The HFD is defined as the diameter of a circle that is centered on the unfocused star image in which half of the total star flux is inside the circle and half is outside." In Part 4 of my "Night sky image processing" Series I wrote about star centroid determination with sub-pixel accuracy. 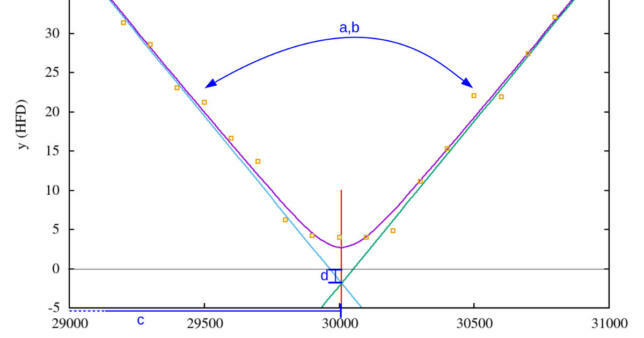 Based on this centroid position the FWHM determination of the star takes place. 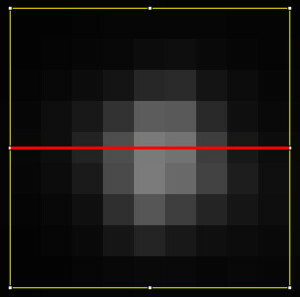 The FWHM (Full Width Half Maximum) value is a measurement for the star width. 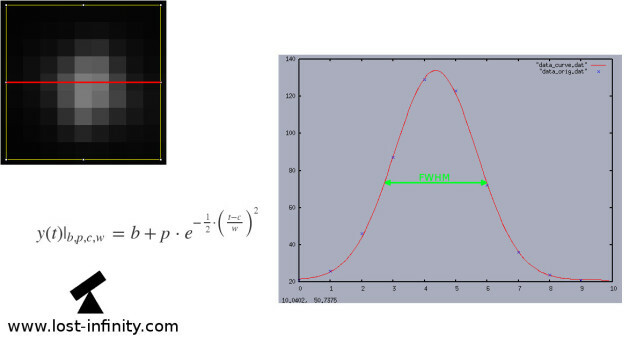 In this part I write about the so called curve-fitting which is used to determine the FWHM value from such an image. The pixel lines through the centroid in x direction are extracted (those gray-level values usually form a Gaussian distribution - a "data-point" is defined as (x,y)=(pixel x-position, pixel gray-level value). 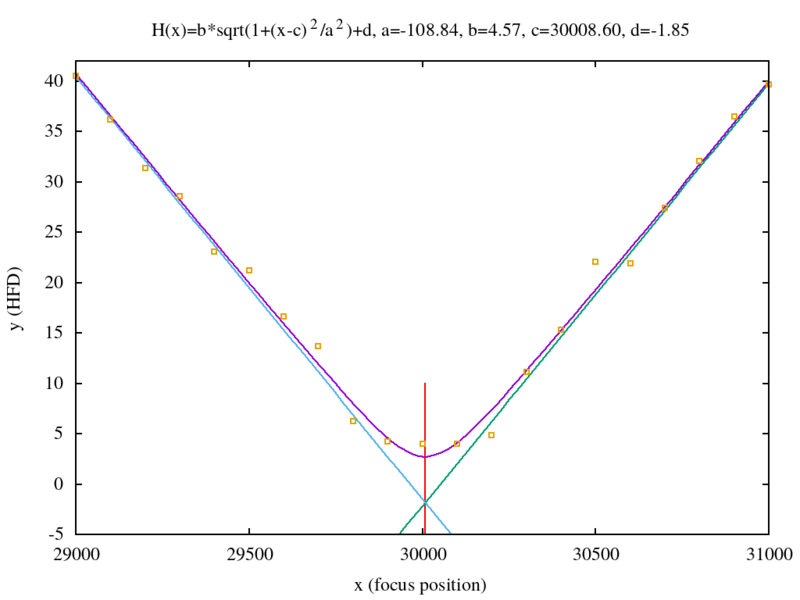 Based on those (x,y) data-points the 4 parameters of a Gaussian curve are determined so that the Gaussian curve and the data-points fit "as good as possible" - the algorithm used is the so called "Levenberg-Marquart" algorithm which tries to minimize the quadratic error between the data-points and the curve. The result is a Gaussian curve i.e. 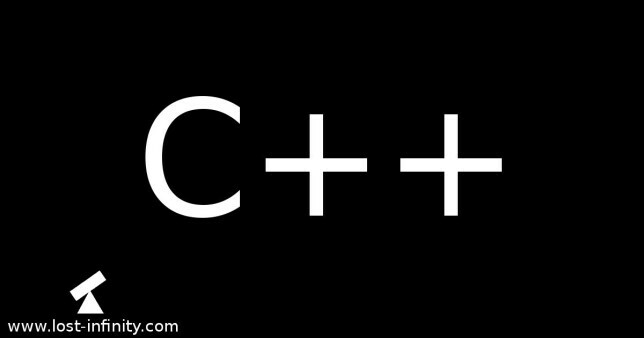 a parameter set which describes the curve (c=center, p=peak, b=base and the w=mean width). One of those parameters - the mean width is the FWHM value.